At HEART Ibiza, Thursday, from 6 Jun to 26 Sep. Meant to be. A unique figure in the electronic music multiverse, Satori blends organic instrumentation with synthetic sound. Playing various instruments live, he has quickly made a name for himself as a producer, performer and multi-culturist. His Maktub residency at HEART Ibiza combines his incredible talent with a visual experience like no other. Maktub is the Arabic word for "it was written," meaning that it was something destined to be. This ethos and creative concept inform every aspect of the party. Visually and aurally, the party steps away from traditional DJ culture. Instead, Maktub blends electronic music with live performance, focusing on live artists and captivating performers, as well as spellbinding, cinematic visuals. In the words of the main man himself, "The idea is to create a further cinematographic experience, where the visual art will perfectly mix with the sound, producing this way what an extraordinary atmosphere should be." "The principal objective is to move a live act into a real art piece and give it the same value as a band performance” he continues. “This way we are making the electronic music boundaries bigger. " HEART nightclub - renowned for its creative partnership between Cirque du Soleil and the Adrià brothers - with its high floor-to-ceiling screen walls makes the ideal canvas for Satori's vision. 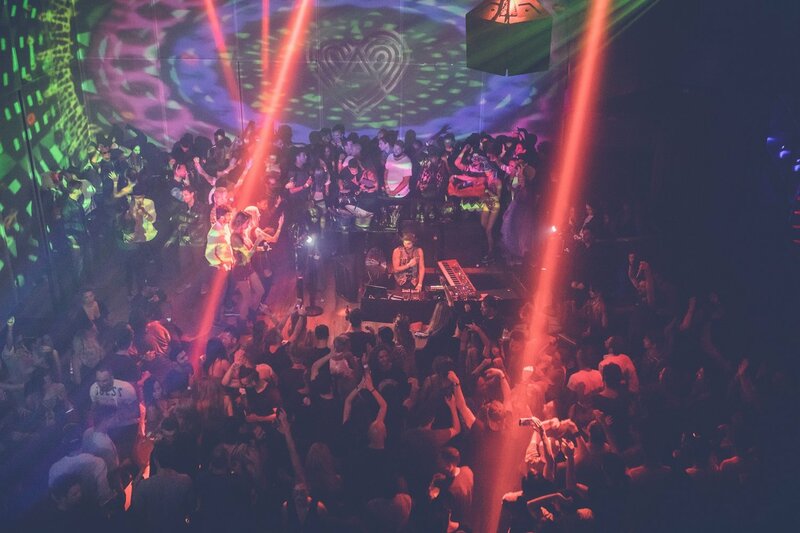 Maktub will take over HEART Ibiza from Thursday 6 June to 26 September 2019. Head below for full details, line-ups and tickets.